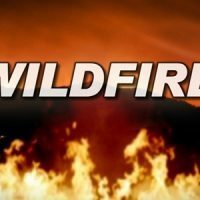 An evacuation order was lifted for the central Washington town of Vantage Tuesday after a wildfire 3 miles east of town shut down Interstate 90 in both directions. The 1,500-acre Ryegrass Coulee Fire broke out late Monday night and forced some 120 people from their homes, and forced the closure of a 22-mile stretch of I-90. The highway was reopened midday Tuesday and people living in the Vantage area were told they could return to their homes. State crews were dispatched to the fire, and the Federal Emergency Management Agency authorized federal funds to help with firefighting costs. It’s the first use of federal resources in Washington’s 2018 fire season.